Mountain climbing is my experience of choice for connectedness to myself, the earth and to God. Mountain climbing is the single most enjoyable activity that I do. I can draw so many life metaphors between "(Wo)Man and the Mountain," as I am sure you can too. I have learned more about myself doing this activity than most other activities I do. As I sit here on my balcony, on a warm summer evening, I watch the sunset over the "Front Range" of Colorado. It is what this part of the Colorado Mountains are fondly called by the locals as they start their ascent from the Eastern Plains just west of Denver. I am in our 7th floor apartment in the city and the sunsets are always a thrill to watch from this height above the trees, as I look at the Rocky Mountains to the West. I am fortunate to have a sky filled with just the right amount of clouds to make a fabulous display for me on this lovely night. My gaze turns from the rosy colored clouds to the silhouette of Longs Peak and Meeker Mountain in Rocky Mountain National Park, easily visible from my balcony. I mentally prepare myself for the mountain climbing trip I have planned for the weekend. I can’t wait. The familiar desire to be on the top of the world, if just for a few minutes or hours, pulls me in again. 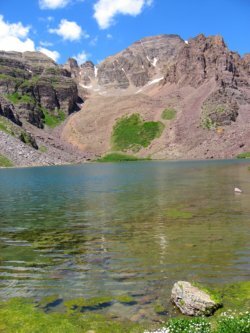 My lifetime of mountain climbing the fourteen and thirteen thousand foot peaks, known as the fourteeners and thirteeners, in the Colorado Mountains, has become more than just a pastime. Why do I enjoy hiking mountains so much? Is my love of the Colorado Mountains more than just about mountain climbing? Or am I just another peak bagger? The first obvious benefit I get from mountain climbing is the physical benefit of the strenuous exercise. It simply takes a lot of effort to summit a peak above 13,000 feet. I have been accused of being goal-oriented with my mountain climbing and I readily admit this to be true. 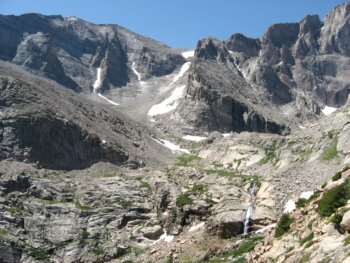 I DO want to be able to say I climbed the top 100 peaks in the Colorado Mountains. I do want that bragging right. Yet I have never been so goal-oriented that I have put myself in danger, (well maybe once, inadvertently), nor have I ever put any of my climbing partners in danger. I am always off the summit by noon before the afternoon storms hit, always use the proper gear for the proper conditions, always carry the "ten essentials" and always tell someone of my group’s plans and when we are expected to be out. Sometimes while mountain climbing, I have to dig deep to keep going. My hip flexors just don’t want to pull anymore. Especially on the steep Alpine scree, when it is wet, and you step up and the gravely little pebbles take your foot down ½ step from where you started. Two steps up, one slide down, one step up, ½ slide down…. You get the picture. Digging deep during the many times when we lost the route and had to re-trace or choose a different route. It feels so discouraging until you find your way again. The life’s metaphor is obvious. Climbing up a mountain may be difficult, but the steep Colorado Mountains offer no mercy on the way down either. What you no longer feel in your heart and lungs during the up climb is now transferred to your toes, your knees, your hips and every joint in between that you didn’t know you had! The downward jarring of your joints can be brutal on the long descents. For me, the Peace that I find in the Colorado Mountains is unparalleled. In between the upward hiking, I stop to marvel at the rocky mountain wildflowers along the way. The tall, majestic ones in the Aspen groves at the beginning of the climb to the eensy beensy little Alpine wildflowers that survive the harshest conditions, never cease to amaze me. The sheer beauty of the trees, the rocks, the wildflowers, the wildlife, the mountains and the lakes are all part of the grand nature of the Universe. As I gaze out from the mountaintop to all the splendor and vastness of what really is, all that I am and all my petty concerns pale in comparison. This vastness never fails to hit me, regardless of how much mountaineering I have done and how many summit peaks I have sat upon. My world and my problems are so very small when I gaze out into this vast sea. Just in knowing that there is so much more beyond me, so much more to tap into than what I can see in my everyday life, empowers me. I feel charged with a new energy. The new sensation I feel when I know in my heart that I am able to get beyond the ordinary to the extraordinary. Mountain climbing never fails to help me clear the mental cobwebs that bog down my ordinary day-to-day thinking processes. The mental musings that never cease, that are limited and small in comparison to what I am witnessing on the mountaintop. The mental challenge of pushing yourself to the edge of your comfort zone is a very significant life metaphor. Pushing myself to the edge occurred when I realized that to summit several high thirteeners and to raise my comfort level on the harder fourteeners, that I had to learn technical climbing skills. This presented a real challenge to me as a middle-aged adult who never had to face her fear of heights in such a fashion before. Regardless of your technical mountaineering abilities, you never really can prepare yourself for the exposure of a sheer cliff dropping a thousand feet below you. Add the stiff wind that you often find swirling around the passes and the slopes adds a whole new dimension of fear that you may or may not be able to manage. Several ledge systems that I have been on are not rated technical, but the exposure was significant. You conquer your fear, look straight ahead at the goal on the other side, breathe, tell yourself you can do it, and you just do it! It is a real character-builder. An additional problem in mountain climbing is the element of water, in liquid form, or in the form of snow or ice. Add any form of water to the rocks and ledges and it can be a nightmare waiting to happen. What is an easy traverse across a rock ledge when dry, is a whole lot different when slippery and wet. Mountaineering, as in life, is knowing just how far you can push your edges, still being safe and at the very top of your skill level, but just outside your comfort zone, so that growth is the intended consequence. An extreme lesson in character building, for me! Mountain climbing then, is conquering your emotions so that what once limited you, no longer does! Getting to the top requires growth and at each new level, the small steps that it took to get you there, all add up to a steep growth curve! Self-limiting beliefs are the only thing that stands in your way of reaching your personal mountaintop. Small, slow steps really add up over time. The exhilaration of the summit is so rewarding and so fulfilling when you have pushed yourself just enough to avoid catapulting yourself over the abyss and yet reach your goal. Then you realize that you have more mountaintops in the distance. Mountain climbing is for life. It never really ends. Just as life is a journey, the mountain represents your journey. Each new mountain that presents itself, presents you with the opportunity for the development of new skills, pushing your edge just a bit farther so that new growth is achieved. I find the experience of the Colorado Mountains to be more stimulating than sitting in any made-made structure to honor God. Soaring cathedrals and churches were built to inspire awe. For me, they do. But the outdoor Cathedral is so much more impressive and can never be copied by man. The Cathedral of Nature takes me to a place that neither man-made speech nor building can come near. It brings me closer to God than any other place. Mountain climbing’s total immersion in the Presence of the moment, the slow, rhythmic movements in my body as it becomes one with the Universe is very soothing. It connects me with myself, all things of the earth and to God. Sometimes I hike with my husband and we walk in silence for very long periods of time. With my focus on my steps and my breath, it keeps me present in the moment. The sheer energy required for the movements often does not even allow for speech, allowing me to go inward. This is my moving meditation of choice. So few things in our lives bring us presence. Mountain climbing does it for me. It takes considerable effort for me to empty my inner noise, and this is one activity that brings me closer to meditative silence than any other. 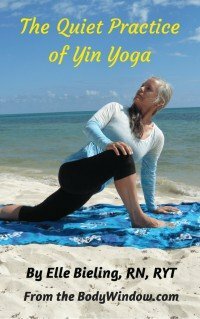 It is the way I connect to my inner self and to God. This is why I love the thirteeners of the Colorado Mountains more than the fourteeners. We are often the only ones on the mountain, even on a holiday weekend. The fourteeners have almost become highways of people. When I am no longer able, or willing to go mountain climbing, I will own a horse to take me deep into the wilderness of the Colorado Mountains, where I will gaze at the mountains that I once climbed. I will then climb the mountains only in my mind’s eye. I pray that day is far away. May you find your own Peace and Connectedness in the Cathedral of Nature. If mountain climbing calls to you, may you always be safe and respective of the amazing way that the Universe can heal your body-mind-soul! 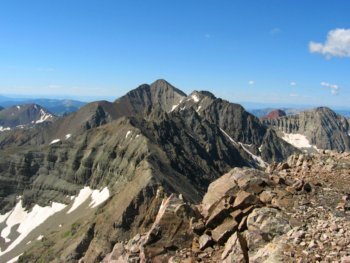 Since writing this article, my husband and I successfully climbed Mount Meeker in August of 2011. Our route was the Loft Culoir, to the left of the Ship's Prow. You can see the large snow-filled culoir in the center of the photograph, above. We had climbed Long's Peak quite a few years earlier. Both mountains are in Rocky Mountain National Park, Colorado. To see more of our photos of our peak climbs, including Mount Meeker, you can go to my facebook page!